07:23 pm - 2 years already O_O!! So... it's been two years since Breaking Dawn 2 was released and it ended a 5 years amazing and intense journey for all Twilight fans. I was wondering where all we are two years later. - Are you still part of the Twilight fandom in any way? - Or have you moved on to other fandoms? 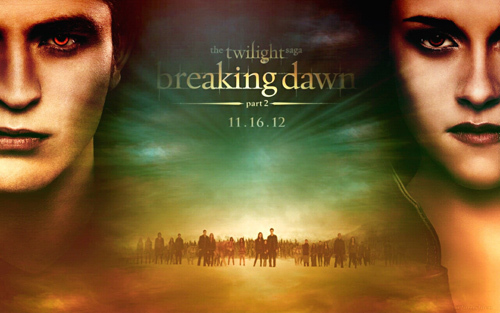 Do you feel so passionate about some other books/movies/saga/pop culture phenomenons the way you felt about Twilight? - How do you remember that whole experience and that time? - Do you re-watch the movies often? - Do you still re-read the books often? And... how are you all these days?